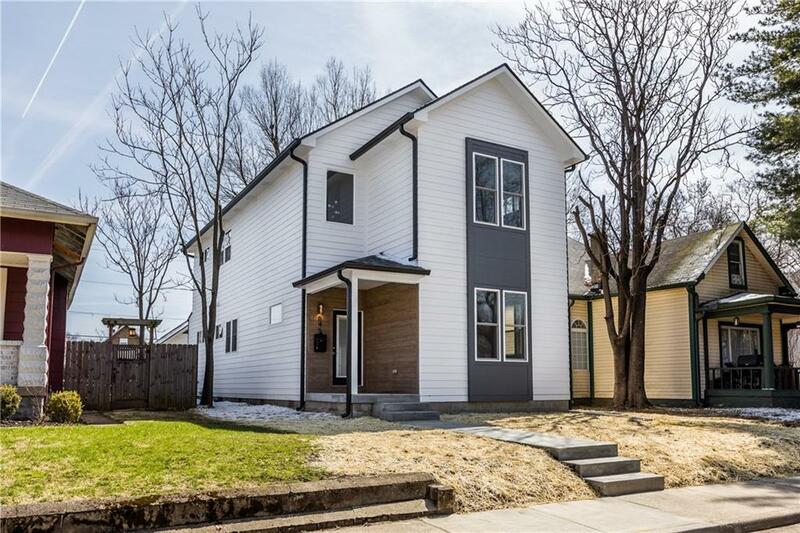 A stunning new construction home in the trendy St. Clair Place neighborhood. 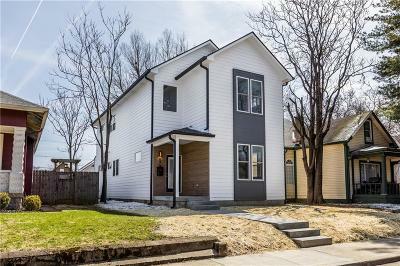 A large 3BR, 3BA contemporary home featuring two; first and second floor master suites, soaring ceilings, granite countertops, custom lighting, custom tile, oversized kitchen island, stainless appliances, exquisite hardwood flooring, large custom deck and a detached 2-car garage. An open-concept floor plan with incredible natural light overlooking historic Woodruff Place neighborhood. The Near-Eastside is exploding with new housing, shops, restaurants, theaters, bars and breweries. A short walk/bike ride to the newly opened Mayfair Taproom, Beholder Restaurant, Tick Tock Lounge, Downtown Indy, Mass Ave and the Monon, Cultural and Pogues Run Trails.